Having appraised your business we then Transform your company by developing and implementing a plan of action that will grow your business. Our goal is to “close the gap” so when you are ready to sell and exit your business you will be able to retire and…Live! Business strategy – What are your objectives, how are you going to achieve them, and what resources do you need? Financial resources and policies – Is this limiting your ability to achieve your objectives? If so, how do we overcome these limitations? Human resources – Do you have the right people in place? Too few or too many? Are they overpaid or underpaid? Do you need to ‘upgrade’ or outsource your workforce? Information technology – Is your infrastructure sound? Are there efficiencies and cost savings to be gained from additional investments? Sales, marketing and service – Do you have too many or too few sales lines/products/services? Should you broaden your markets from local/regional to national or international? Is your marketing plan producing the right results? Sourcing & procurement – Are you paying too much for your products? Are they the right quality? Do you hold enough inventory and is it controlled effectively? Corporate Policies and Procedures – Are these clearly documented? Is your house in good order and attractive enough for potential buyers? We will then develop a well-thought-out Transformation Plan and work with you in its implementation to keep your business on track to achieve the desired objectives. 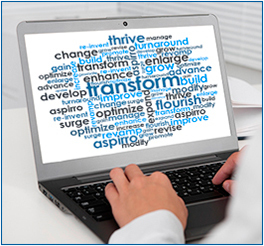 Working with you we will set milestones to ensure that transformation process goals are reached. There will inevitably be deviations along this path but we will help guide you through these every step of the way to stay on target. Our goal for this program is to assist you in attaining the highest price for your business, make it attractive for prospective buyers, and ensure a smooth and successful planned business transition to the new owners.